$120.00 Out of stock. Email me when new stock arrives. It keeps going, and going, and going... That's what happens with the Tora Large Bottles production! 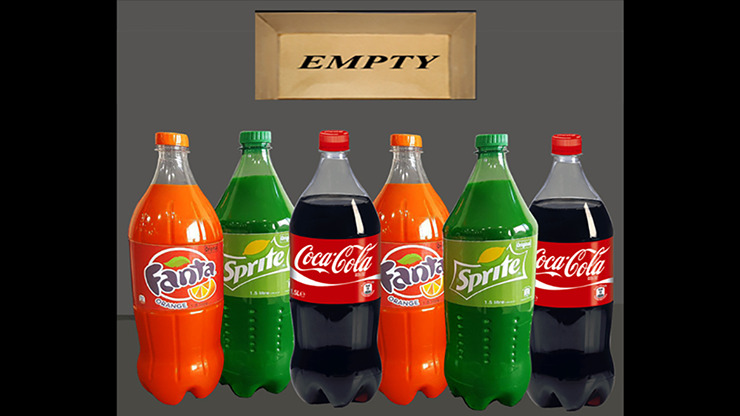 You can show a paper bag empty inside, yet your are able to produce bottles of soda one after another -- six times in fact! You can even stop in the middle and show the bag empty again! And if your spectators need proof, you can even open one bottle and pour yourself a drink! Give your spectators something to remember and order yours today!